Best known internationally for winning the 2011-12 Volvo Ocean Race, Franck Cammas is one of the world’s most accomplished multihull sailors, a past Route du Rhum winner and Jules Verne Trophy record holder and a four time ORMA 60 trimaran champion. Inshore he has raced two seasons on the Extreme Sailing Team and the D35s. 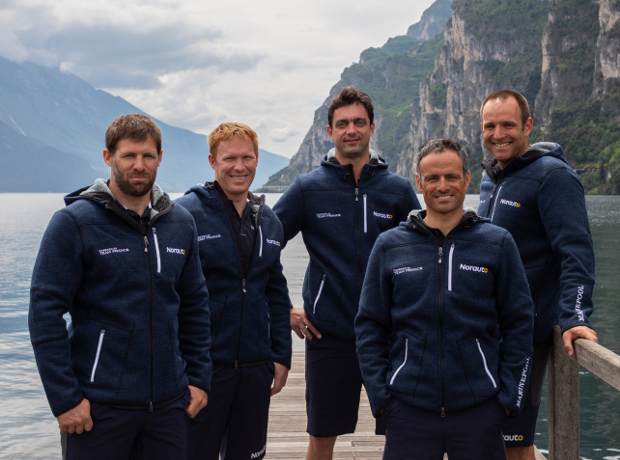 NORAUTO powered by Team France won the GC32 Racing Tour in 2016. For 2018 they are back to repeat this achievement. Currently Cammas is head of Team France, the French challenge for the America’s Cup which competed in the 35th running of the oldest perpetual trophy in sport in 2017 in Bermuda. Winner of Trophée Jules Verne (2009/2010), Route du Rhum (2010), Volvo Ocean Race (2011-2012) etc.